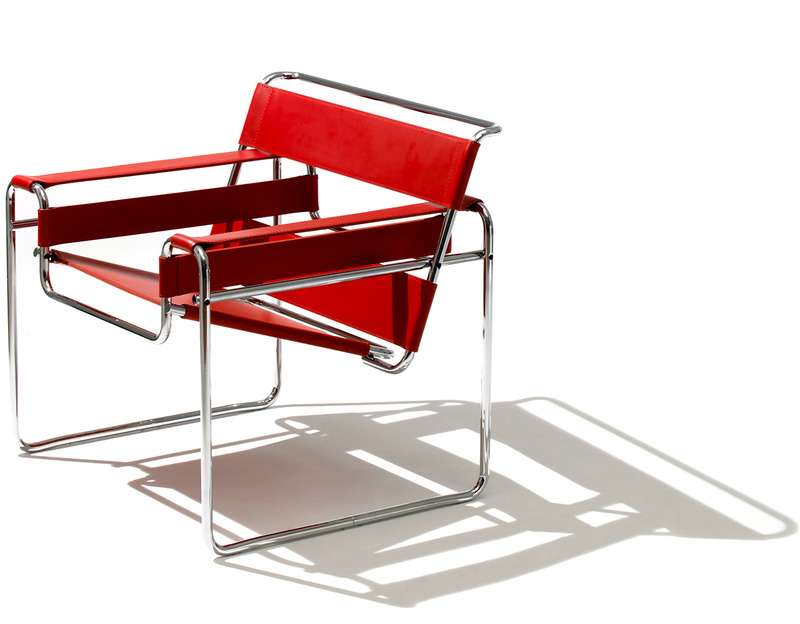 Marcel Breuer was an apprentice at the Bauhaus in 1925 when he conceived the first tubular steel chair, the Wassily chair, based on the tubed frame of a bicycle. 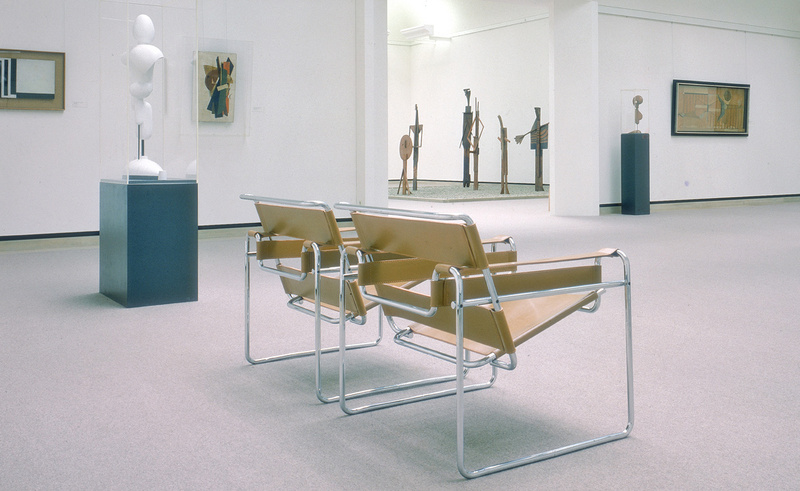 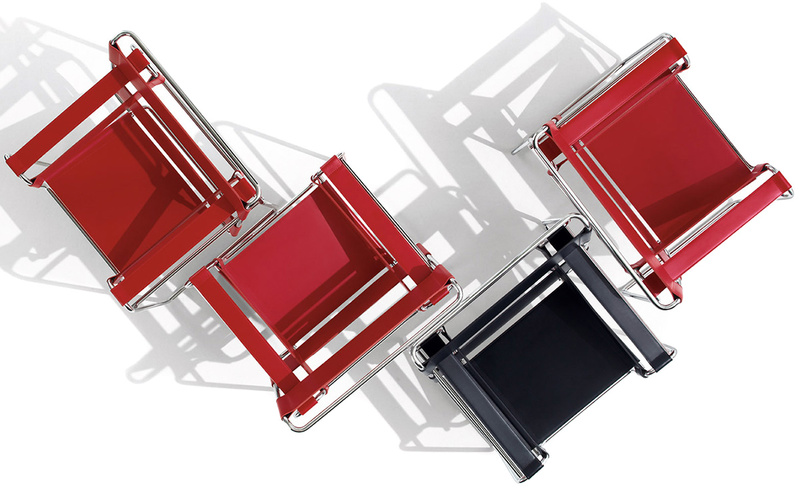 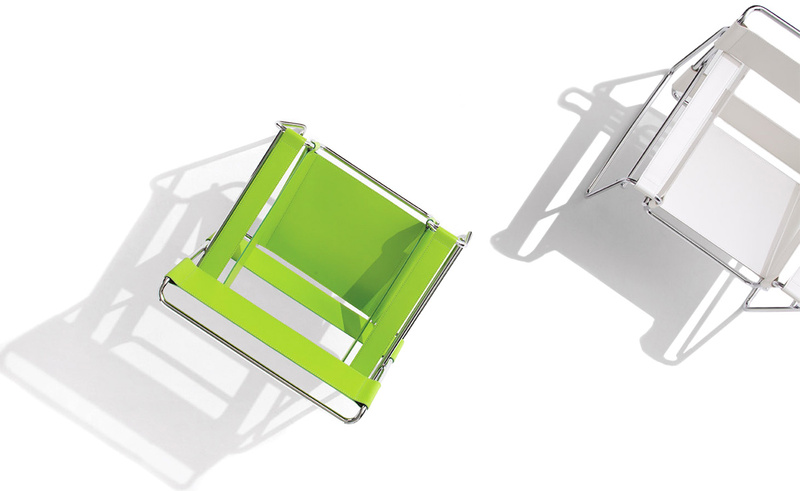 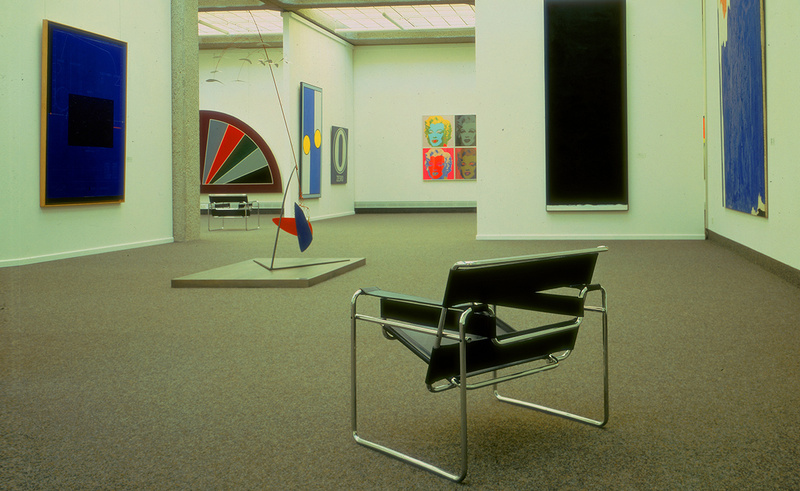 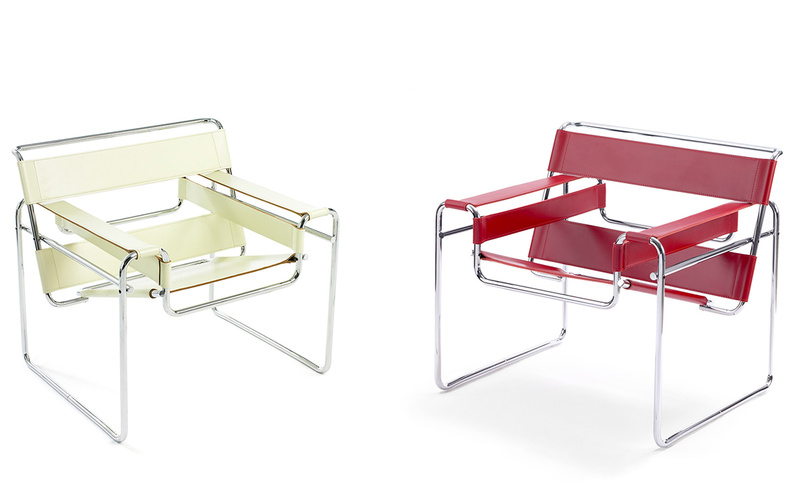 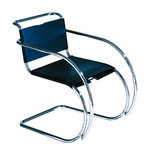 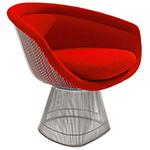 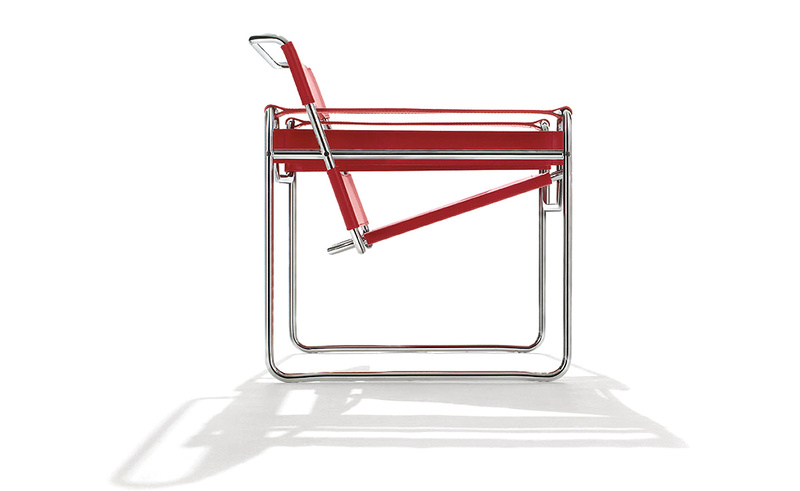 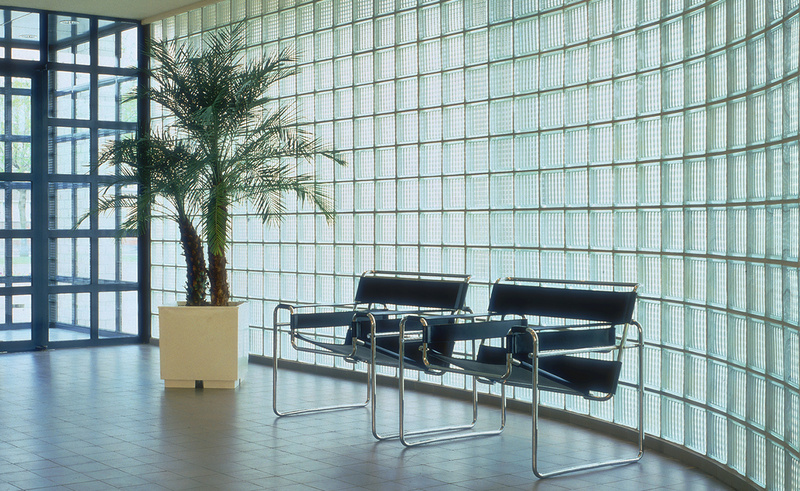 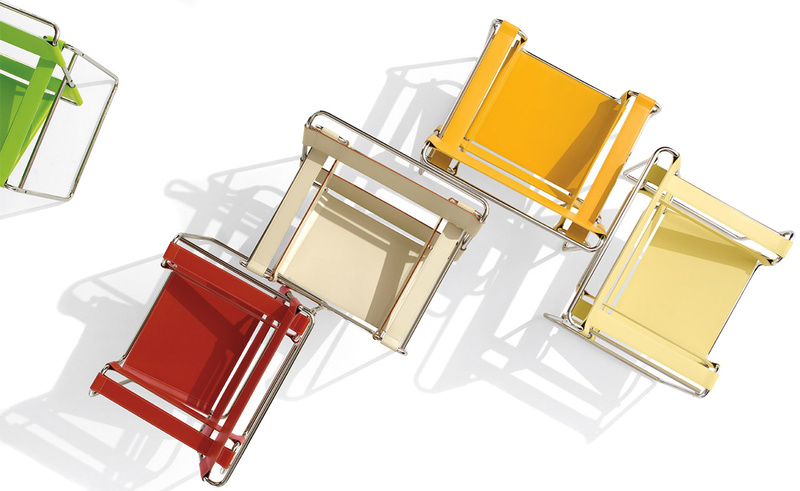 Knoll is the only authorized and licensed manufacturer of the Wassily chair. 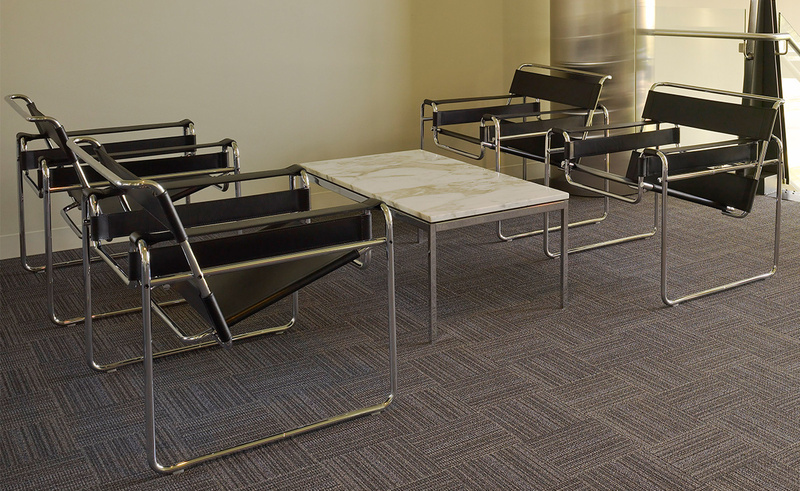 Marcel Breuer's signature is stamped into the base of the frame and every chair has an individual identification number to verify authenticity. 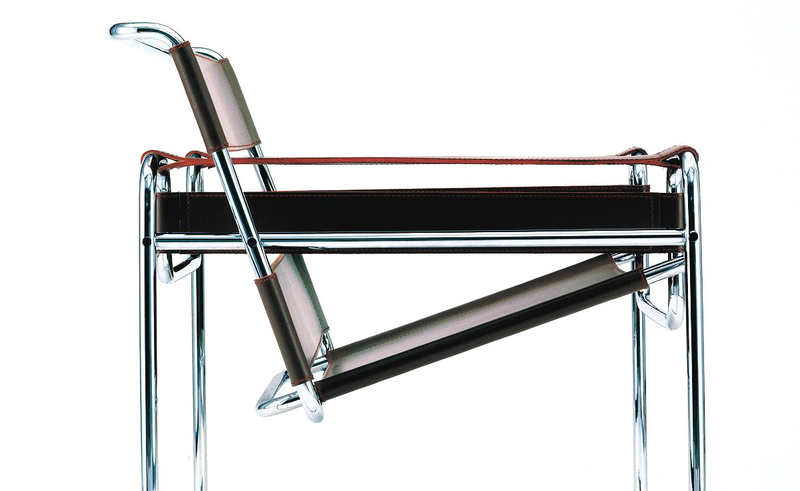 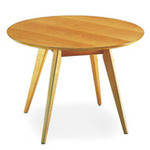 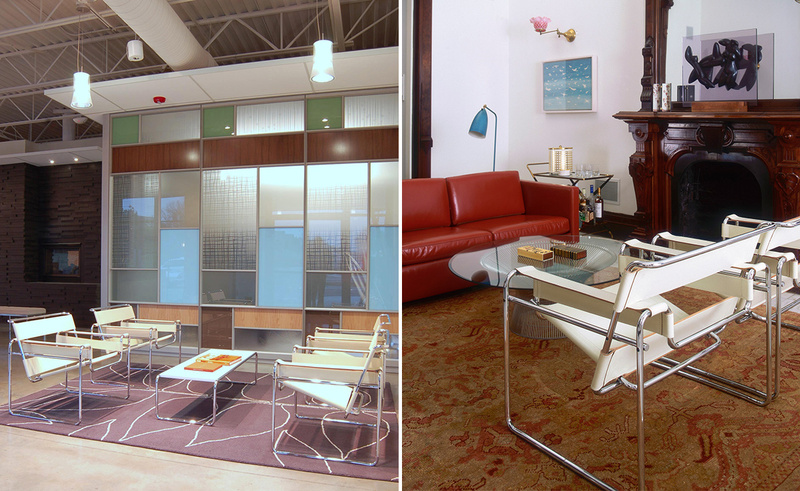 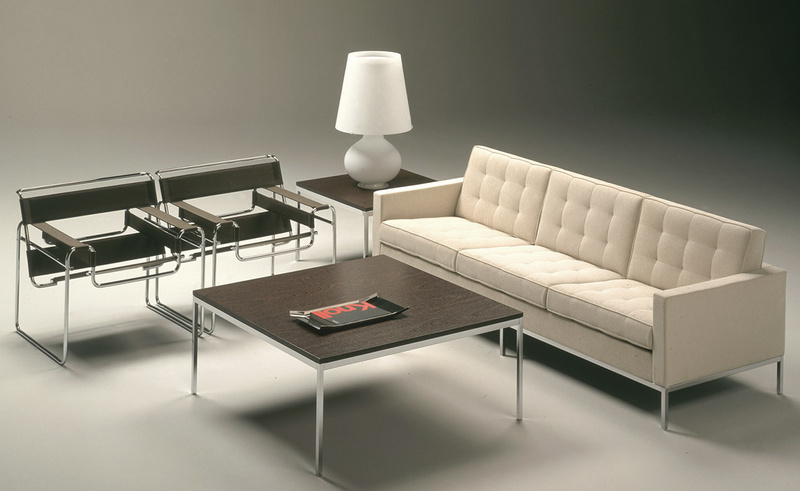 If it does not display the Knoll logo type and bear Marcel Breuer's signature, it is a counterfeit. 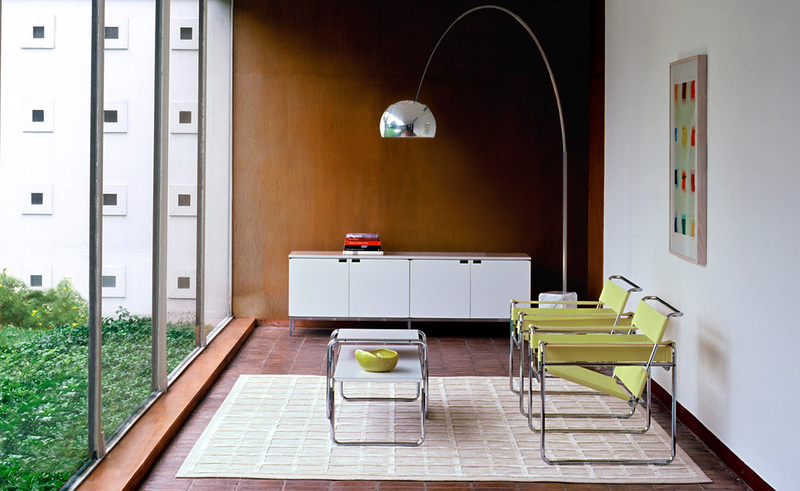 The Wassily lounge frame is seamless tubular steel with a polished chrome or 18k Gold (polished) plated finish. 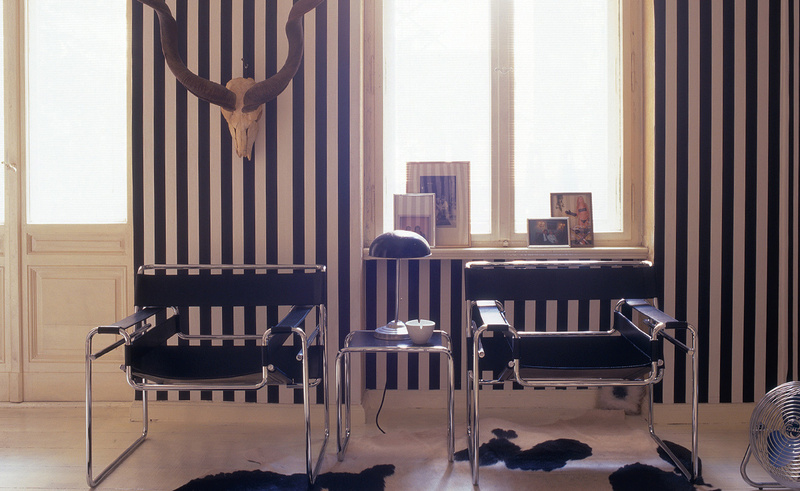 Thick cowhide leather upholstery available in black, light brown or white beige. 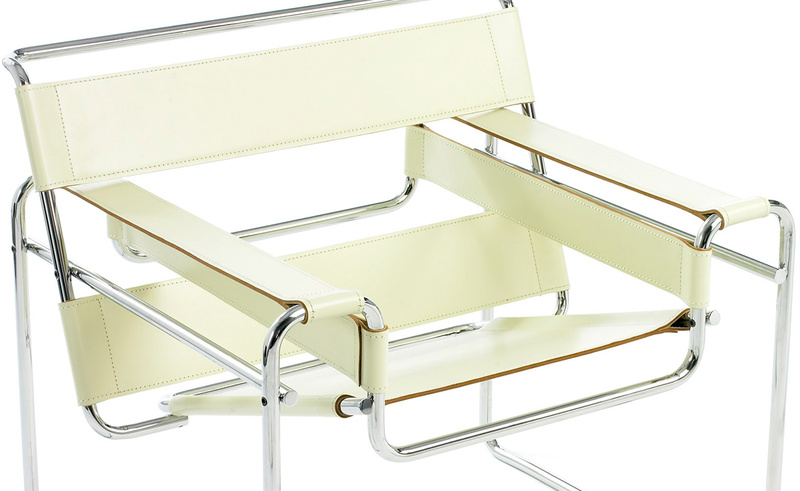 Leather version complies with the California Technical Bulletin 133. 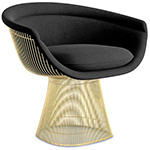 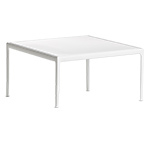 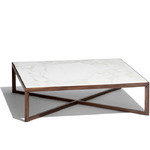 $2,782.00 + plus shipping in the continental U.S.